Anyone know the name of this coral? Goniopora was my guess. But when I look it up I don’t see it in images. Last edited by Jpeg08; 02-10-2019 at 04:49 PM.. This is mine next to the RBTA. Started with just 3 heads and now softball size. OH MAN! 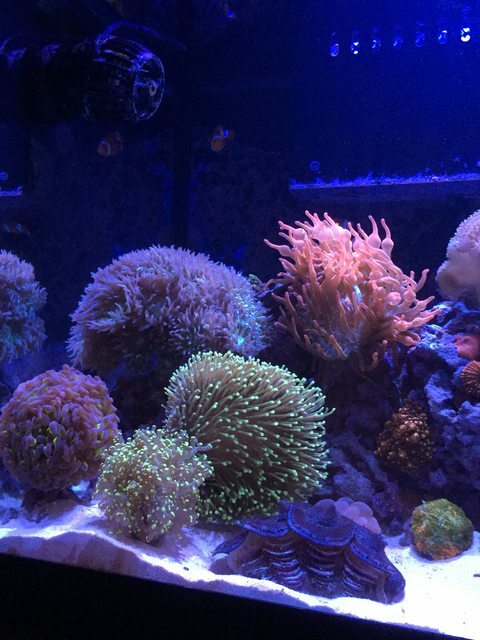 is it a hard to keep coral? it seems to be happy where it is placed. Right now my Zoa's are so not happy. only a few are open. Duncan is easy. Will eat out of the water column but if you want it to grow fast spot feed it. I would guess Goniopora based on your pick. Harder to keep alive than a Duncan.